By understanding some basic guidelines for how to use an electric pressure cooker safely, you can enjoy pressure cooking without fear! My first pressure cooker was a garage sale find. It was an old stove top cooker. Since it didn’t come with a manual, I searched the internet for a manual that could give me some instructions for using it. (Note: I didn’t know this at the time, but it’s actually not recommended to use older second-hand pressure cookers, so don’t do what I did). When I was ready to give it a try, I made sure the kids were all napping so there would be no chances of them wandering into the kitchen during the cooking process. I also decided to give it a try on a day when my mom was at my home, just in case something went wrong. Okay, let’s just take a second to recap, shall we? I made sure my kids were in another room and I had backup there in case I needed it. Cooking should be fun, not anxiety-inducing, right?? The first use was…terrifying. The jiggle top pressure regulator looked like it was going to blow right off! 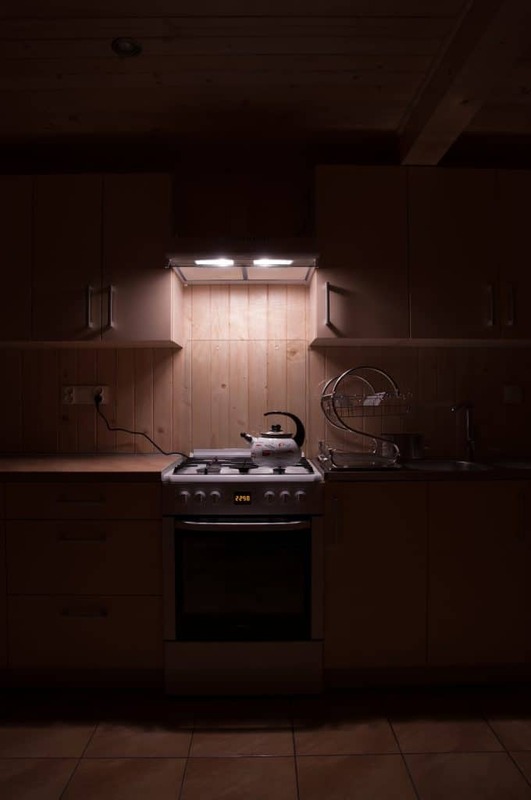 I kept adjusting the heat of the stove, trying to get to just the right steady temperature, but it seemed the pressure was always too high or too low. I had to constantly stand there and babysit it, which was super worrisome when it seemed like it was going to explode. With visions of a geyser of pressurized contents exploding from the pot, I removed the cooker from the stove and abandoned my efforts. We’ve all heard or read about the horror stories of a terrible and frightening accident involving a pressure cooker. Many of them are real, awful events. One reader emailed me and told me about how a childhood friend of hers had a pressure cooker that blew up. Can you imagine? The thoughts of a pressure cooker exploding, sending scalding hot contents spewing everywhere are scary, to say the least. I decided that pressure cooking was not going to be for me if I had to be scared every time I used the darn thing. That’s when modern pressure cookers hit my radar, specifically the electric models. I learned that these modern pressure cookers are designed with several safety features. Knowing how these cookers work and how to use them properly can ensure a much safer and more enjoyable (and let’s be honest, less terrifying!) 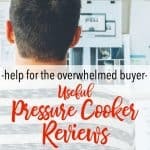 pressure cooker experience! Modern electric models have sensors that detect the pressure and then in turn regulate the heating element that controls the temperature of the unit. So instead of the old jiggle top pressure regulators, the sensors do the work. If the lid isn’t closed properly, the cooker won’t pressurize. Likewise, when the unit is pressurized, the lid remains locked so you can’t remove it. A vent shield helps to prevent the vent from becoming clogged or blocked with food particles. In the event that there is a malfunction and pressure does get too high in the unit for some reason, it’s designed so that the insert pot will shift down, which creates a gap around the insert pot where extra pressure can escape into. 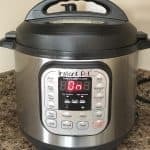 Even though modern electric pressure cookers have many built-in safety features, it’s also important that we know how to properly use the equipment in order to optimize safety. These are a few basic tips to help you safely use your pressure cooker. Seriously. I know this step isn’t super fun. And it’s probably the most overlooked step, so that’s why I listed it first. You need to know how your particular cooker works. It’s important to know what the manufacturer recommends or doesn’t recommend for your model. So start there. There are two types of pressure releases–quick and natural. A quick release of pressure is just that–releasing all of the steam quickly, at once. 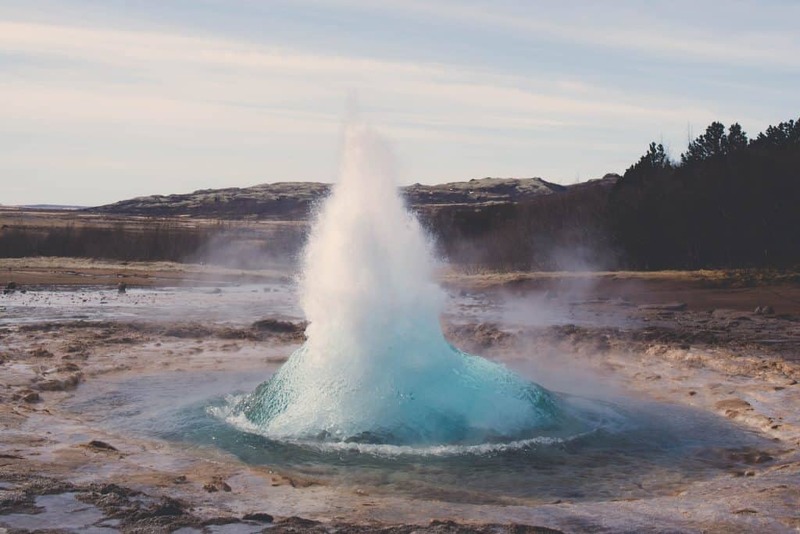 A natural release allows the pressure to release slowly over a longer period of time. It’s important to know which is appropriate for the type and amount of food you are cooking. For instance, foods that could be foaming during cooking, such as starchy oats or a large pot of soup, should have a natural release of pressure. Opening the valve and allowing a quick release could cause foam to come spewing out through the vent. Not good. 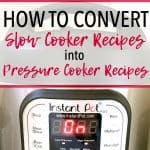 Most pressure cooker recipes specify which kind of release to use, but it’s still good to know in case you are converting a recipe. 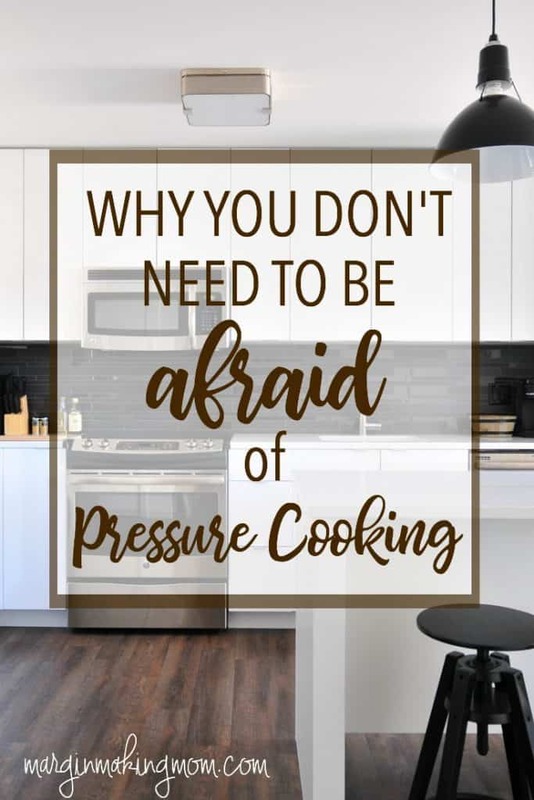 Barbara from Pressure Cooking Today has a great article about choosing the right pressure release here. Know the proper fill amounts for your model. Your model’s manual should include recommendations for minimum and maximum fill amounts. Why does this matter? Not putting enough liquid in the insert pot can result in contents never coming to pressure or contents scorching. It could also cause damage to the parts of your pressure cooker. 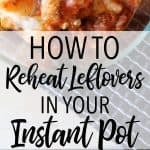 Putting too much liquid in the insert pot can cause the pressure vent to be blocked. It’s important to note that fill amounts depends on the type of food being cooked. When cooking foods that expand or foam, such as beans, oatmeal, and rice, the general recommendation is to not fill more than 1/2 full. The general recommendation when cooking other foods is to fill the insert pot no more than 2/3 full. 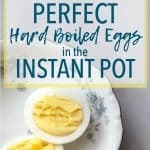 You can read more about fill amounts in this article from Hip Pressure Cooking. When the unit is pressurized, the lid should remain locked and you shouldn’t be able to open it. But let’s not try, mmmkay? If you are using a quick release, be aware that steam will be quickly expelled once you open the vent. I personally use a pair of tongs to switch the vent to the open position when performing a quick release, because I don’t want to burn my hand. Alternatively, you could use a wooden spoon or other longer utensil to avoid being burned by the escaping steam. Even if you use a natural release, it is still likely that there will be some steam in the unit when you open the lid, so remember to open the lid away from you, just as you would the lid of a saucepan. Take care of the unit. Properly caring for your electric pressure cooker helps to preserve the safety features. Specifically, you should always wash the sealing ring after each use. Because the seal is so important during pressure cooking, you want to make sure there are no food particles or debris on the sealing ring. When washing, you can inspect for any defects in the ring. It’s also important to wash the vent shield. Again, this is to remove any food particles, residue, or debris that could potentially cause the shield to be obstructed, which would in turn cause the vent to be obstructed. Finally, be sure to dry all parts well before putting everything back together. 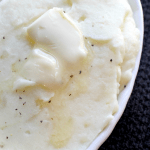 Pressure cooking doesn’t need to be a scary, ominous, or threatening cooking technique. It’s easy to fear the unknown. The best remedy for that fear is knowledge. As with any kitchen appliance, it’s important to have an understanding of how the appliance works. This allows you to have an appreciation for its capabilities and to use it properly. The same is true for the modern electric pressure cookers. It’s similar to when you learned to use an oven, toaster, food processor, or even a knife. Once you learn how to use these tools, they aren’t as scary anymore. So make use of the safety features and make use of your brain. 🙂 By understanding some basic guidelines for how to use an electric pressure cooker safely, you can enjoy the benefits of your electric pressure cooker without the worry! Pressure cookers can be intimidating. But there are some really great recipes out there for them. We use a 1950s era pressure cooker that was my wives grandparents. Both for cooking and canning. Hi Mark! That’s amazing that you guys are using your wife’s grandparents’ pressure cooker! I’ve heard that the older cookers can be quite reliable if they are well taken care of. Perhaps that was one of the problems with the second-hand one I started out with–I don’t know any of its history or even when the seal was replaced last or anything like that! And I have to admit that I like the programmable options of the new electric ones. 🙂 But the electric ones aren’t safe for pressure cooking, so in that case it’s great to have a stovetop option for that! My wife is very nostalgic about it. She also has kitchenaid mixer that her grandmother had. Both work great. The new programmable options do sound really helpful though.